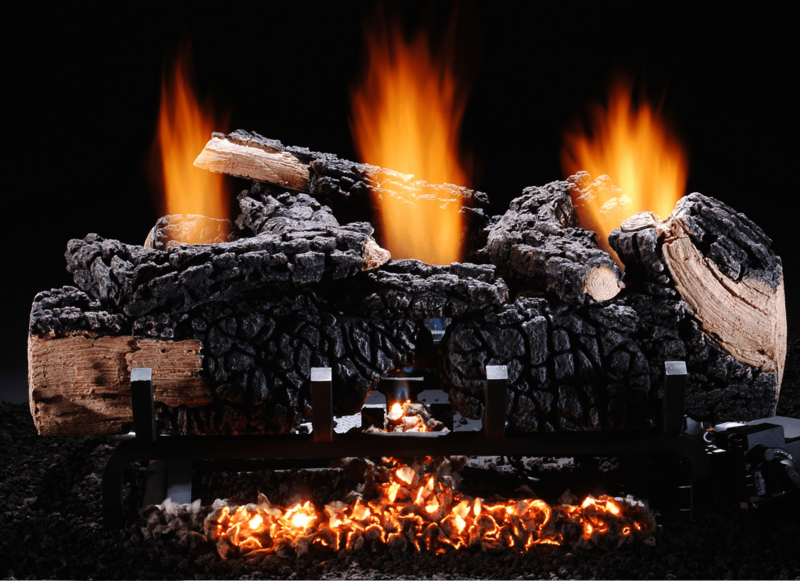 One of the best things about having a gas fireplace log system installed in your fireplace is that you get to have a nice roaring fire at your fingertips with minimal effort. 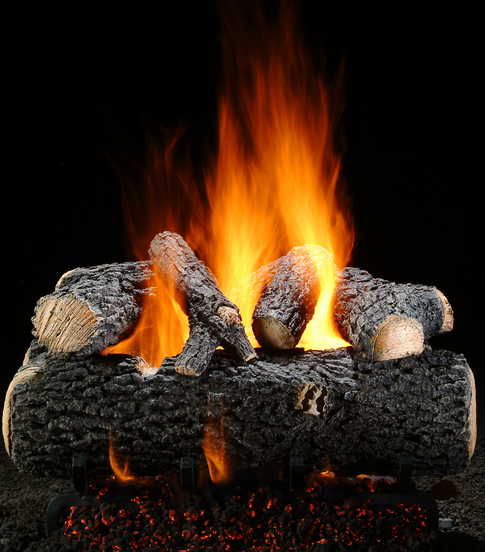 Gas logs offer convenience and safety at the turn of a knob, the flick of a switch or even the touch of a remote control. 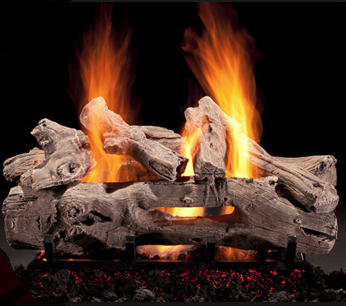 Gas fireplace logs are clean burning, light and they extinguish easily. 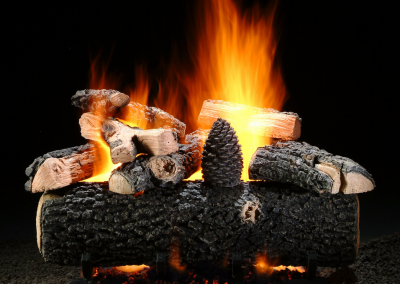 They eliminate the headache of buying, splitting and storing wood and require almost no maintenance or cleaning. 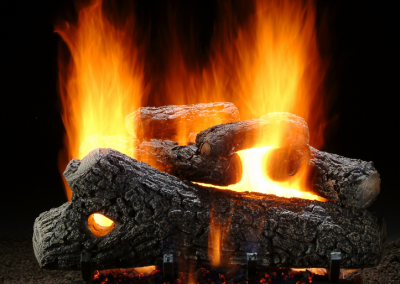 Gas logs are also safer than burning wood as there are never any flying sparks or potentially dangerous ashes with still glowing embers to dispose of. 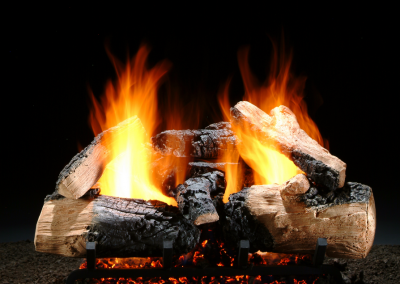 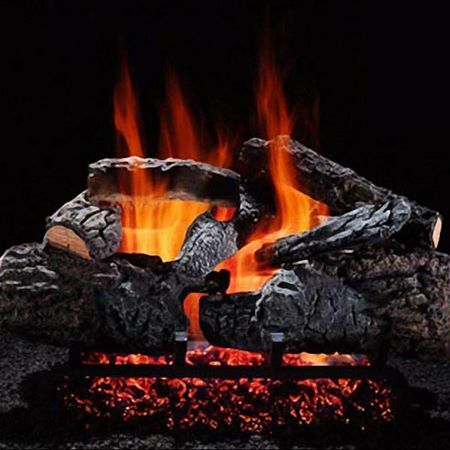 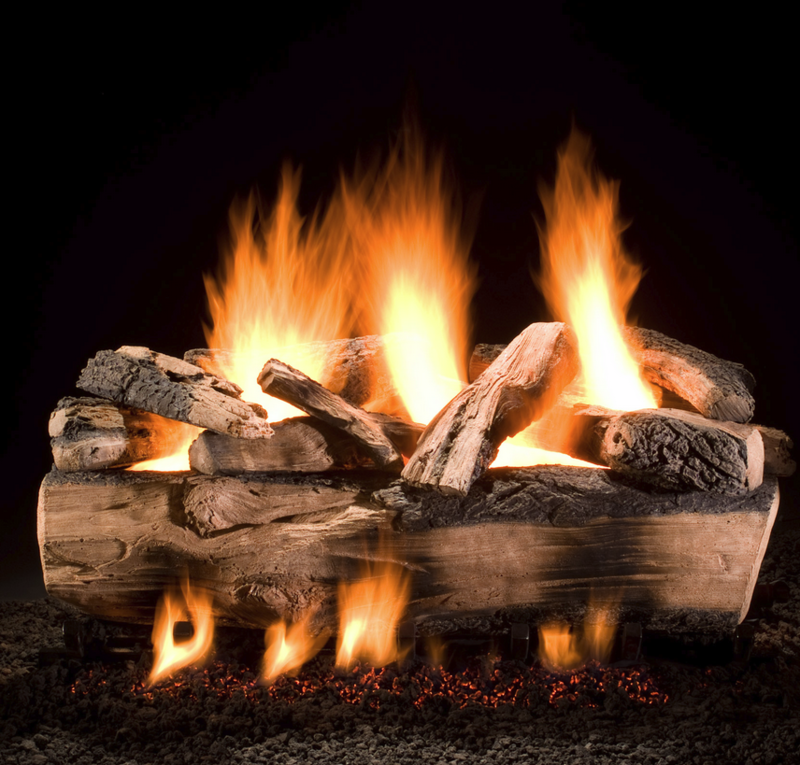 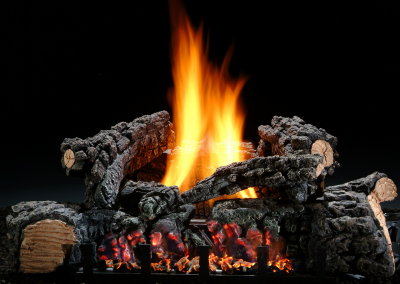 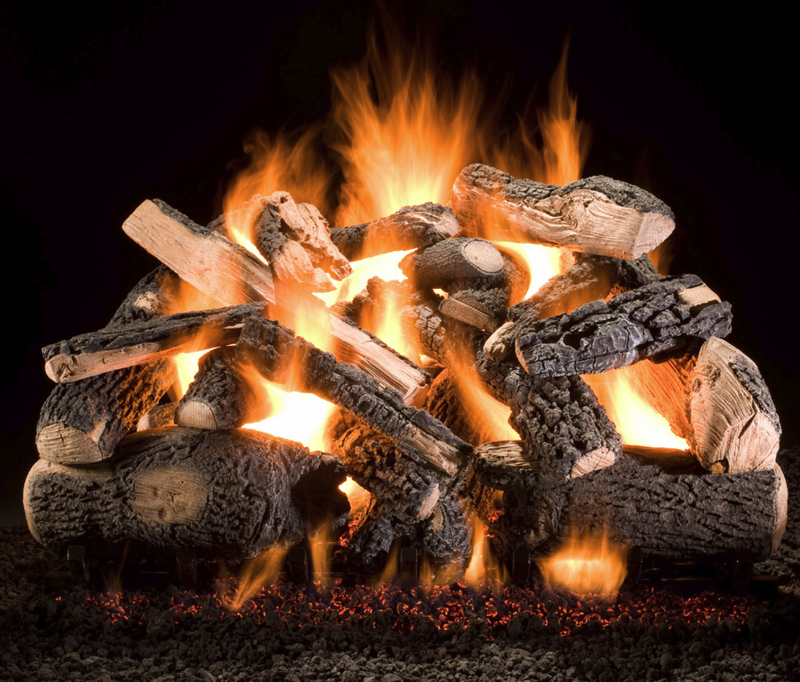 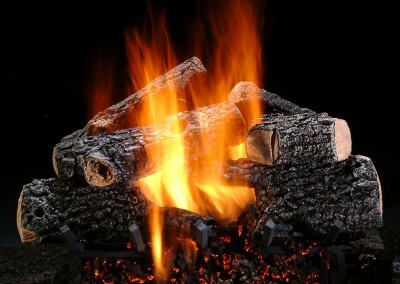 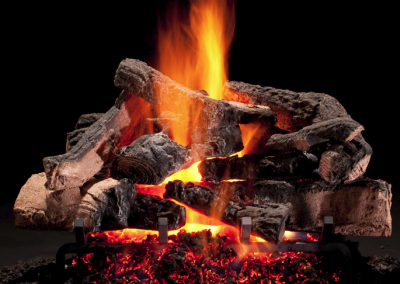 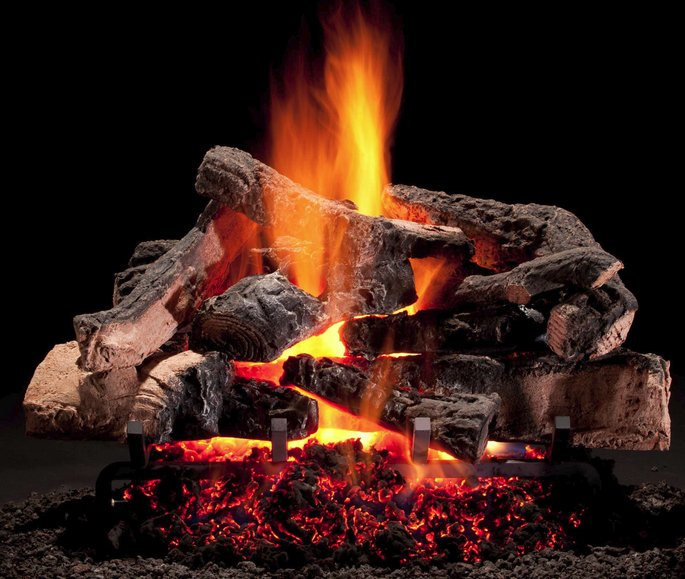 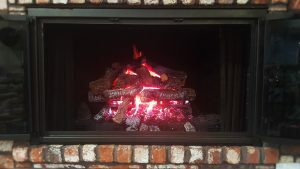 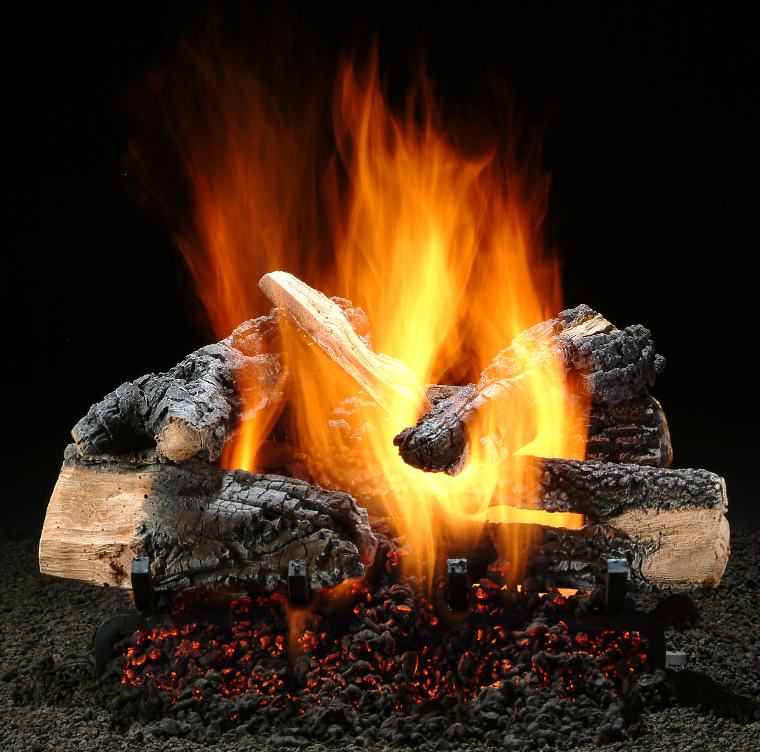 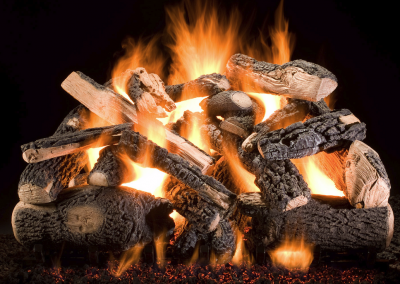 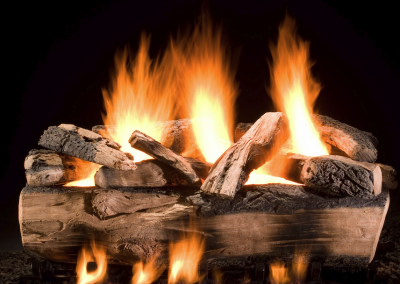 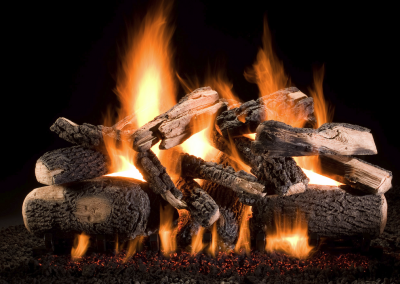 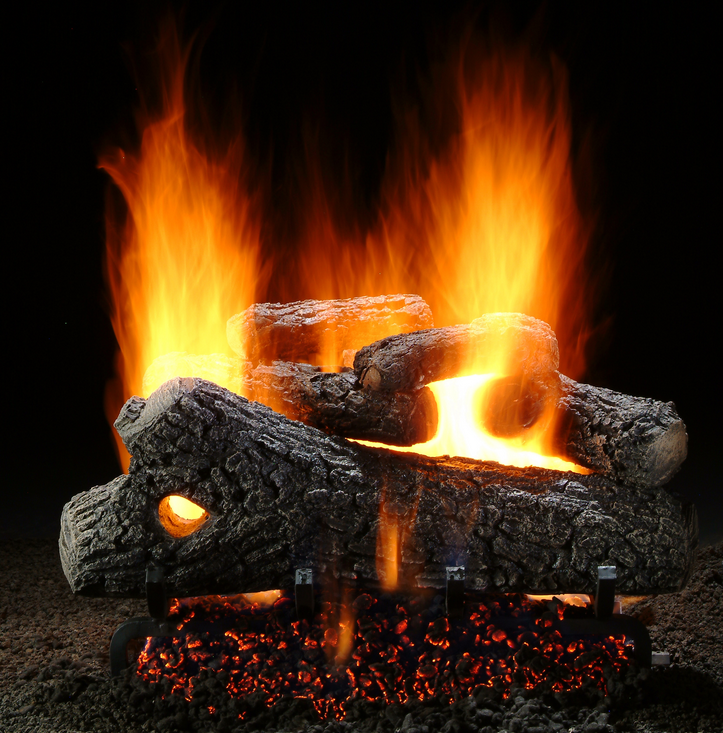 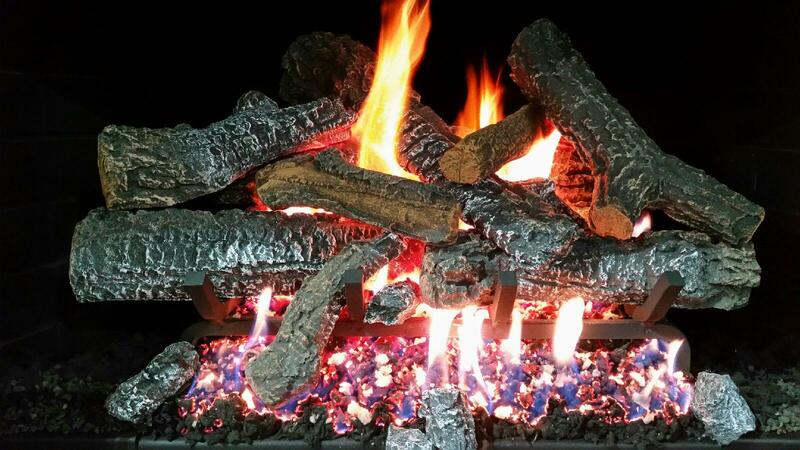 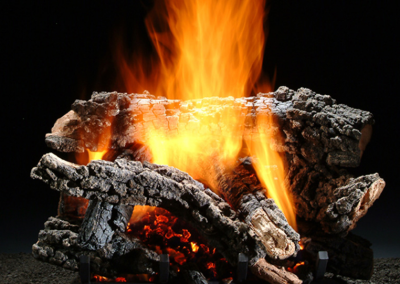 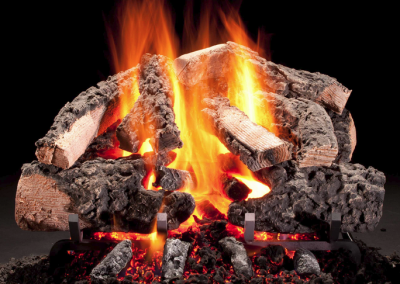 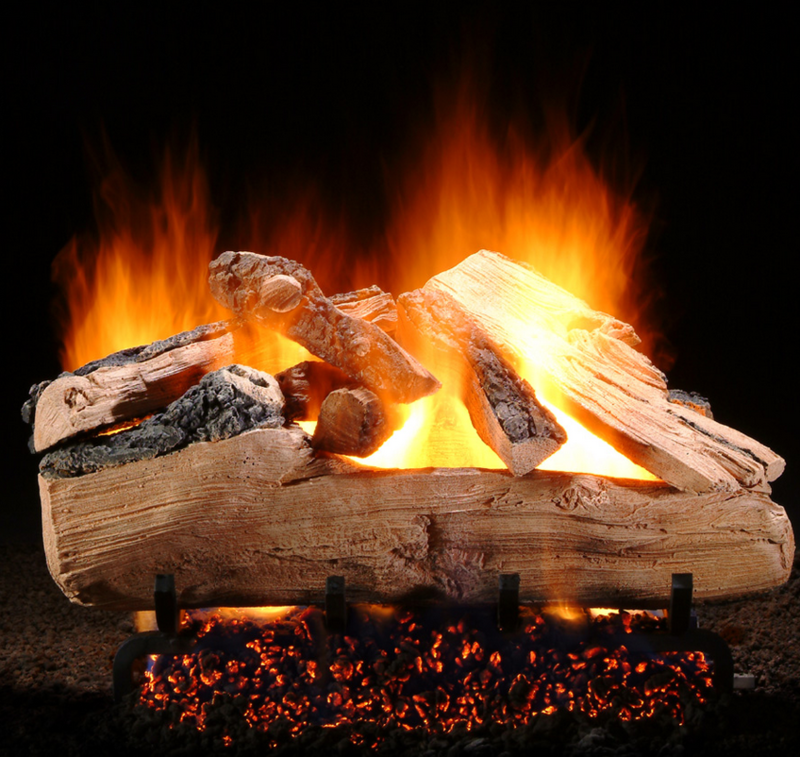 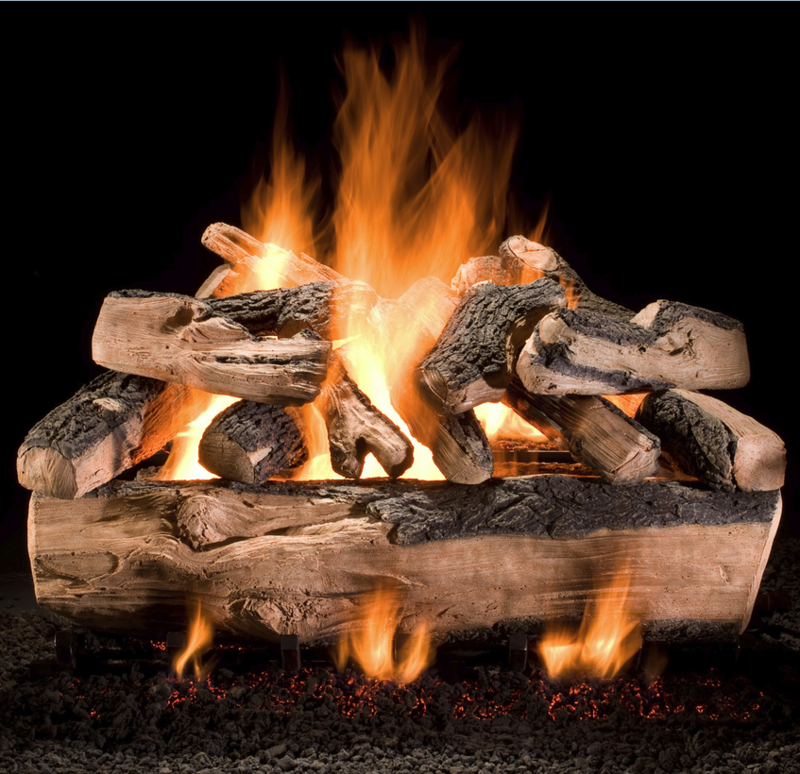 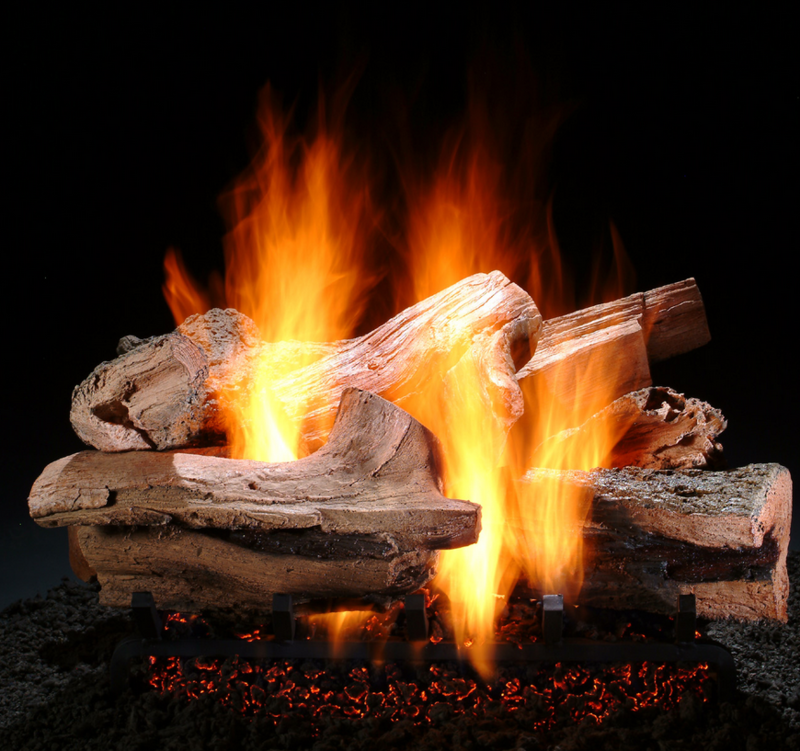 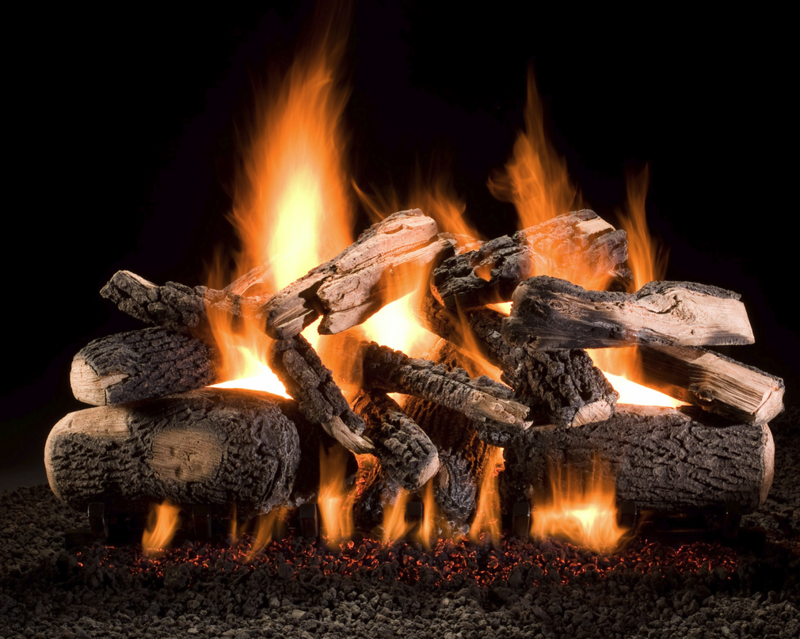 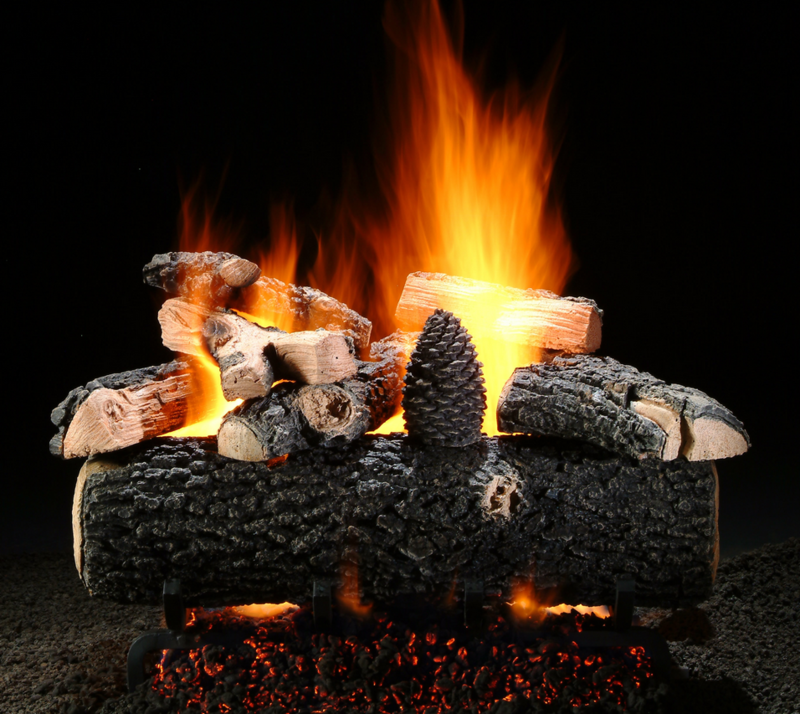 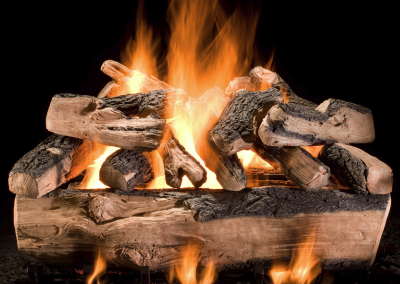 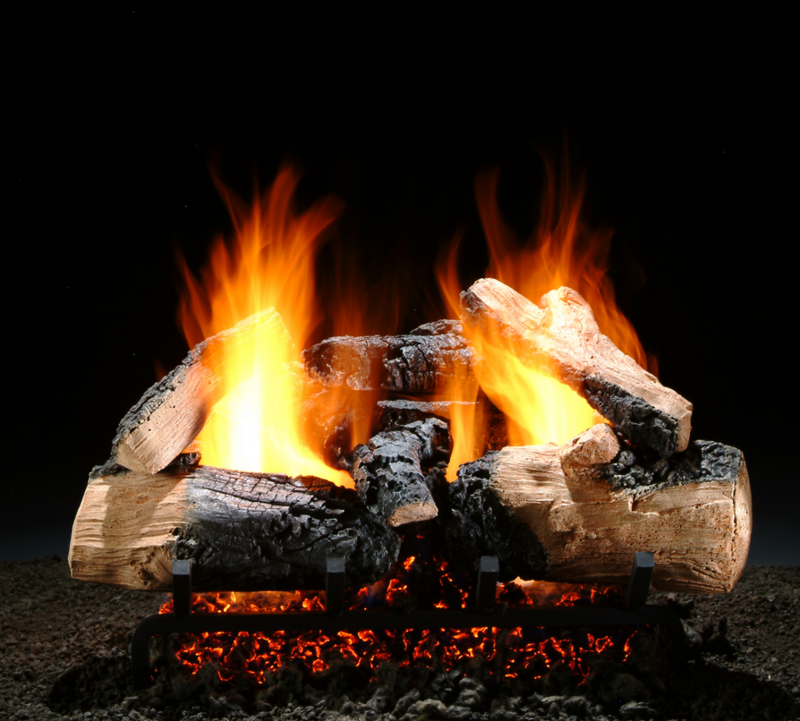 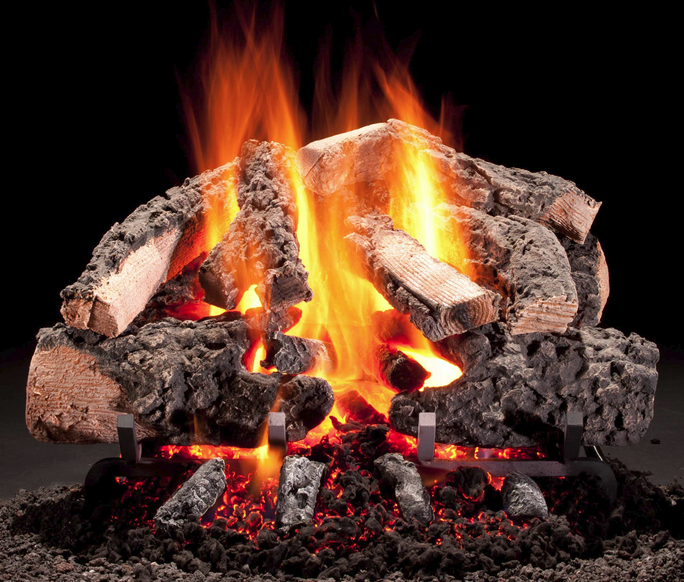 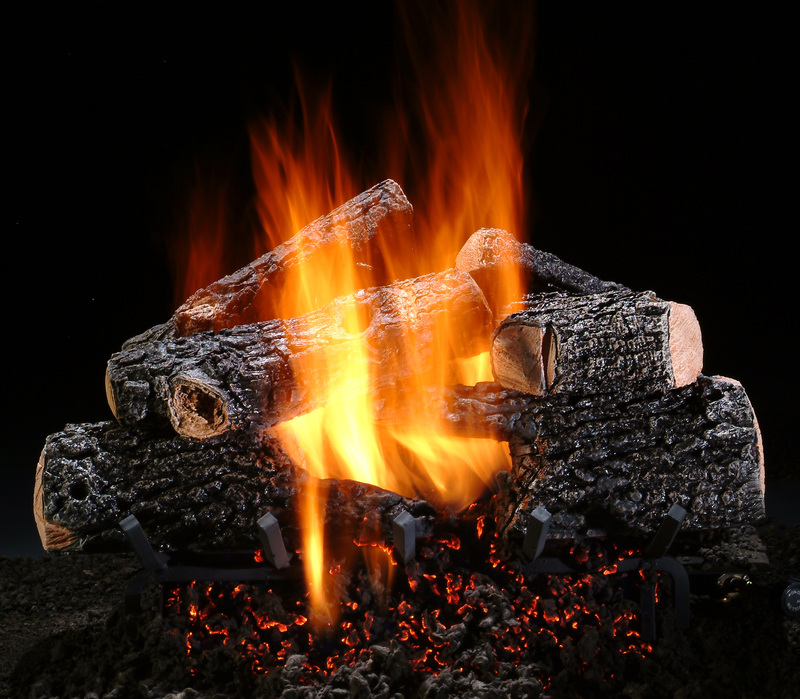 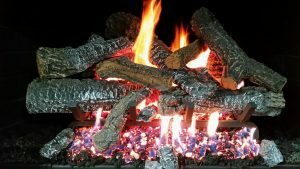 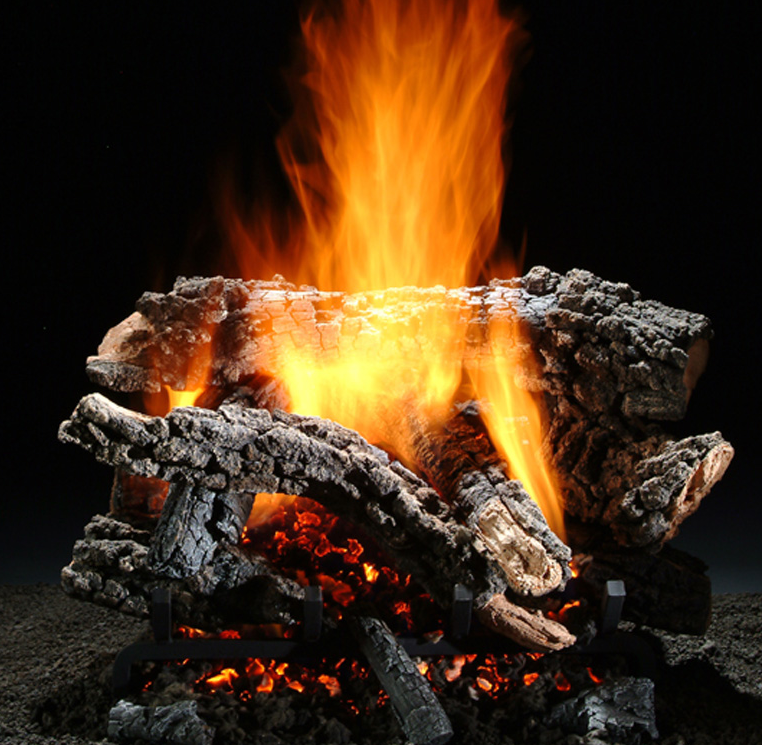 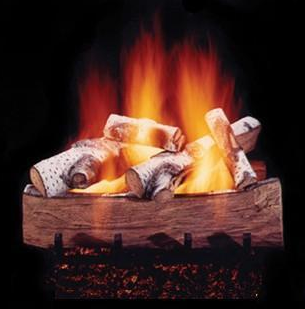 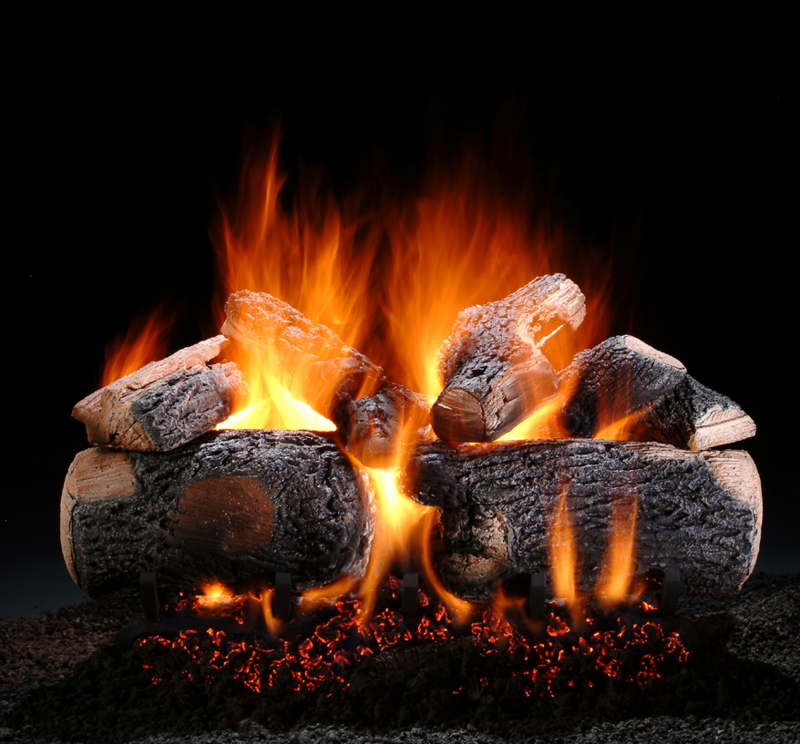 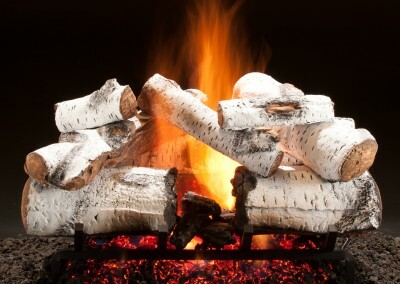 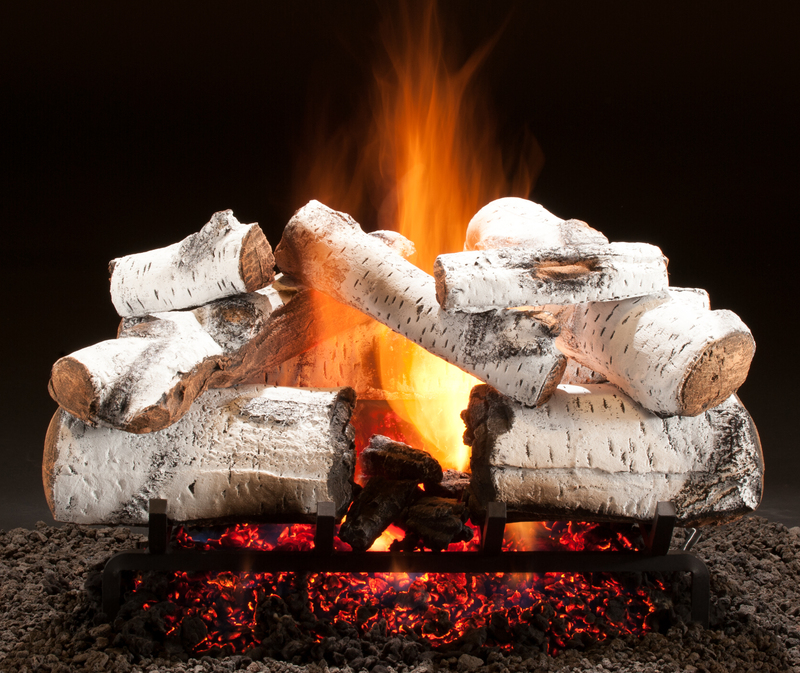 We carry a full line of gas logs in all sorts of shapes, sizes and colors to suit any taste. 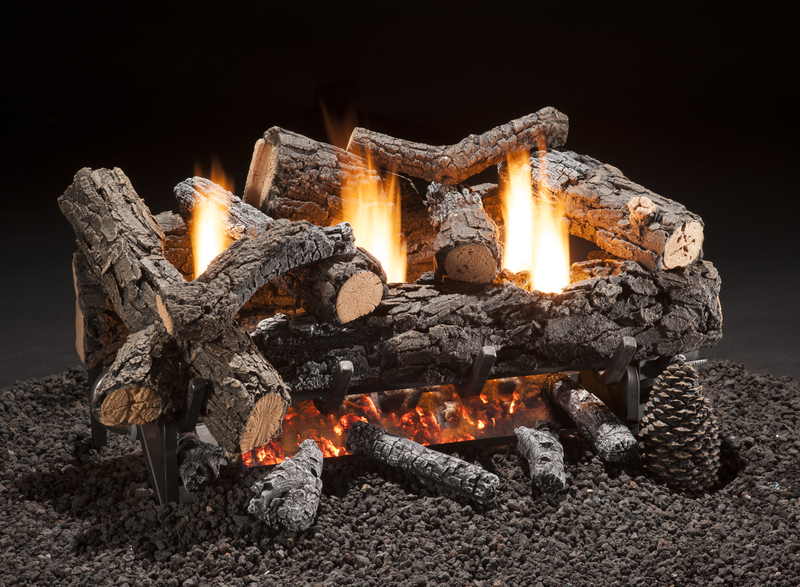 We even have the more modern glass beads and decorative fire beds. 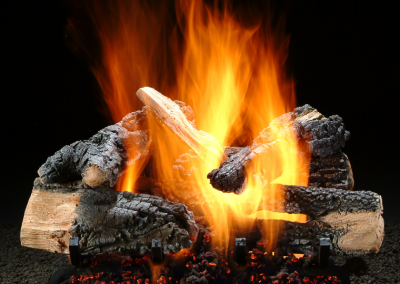 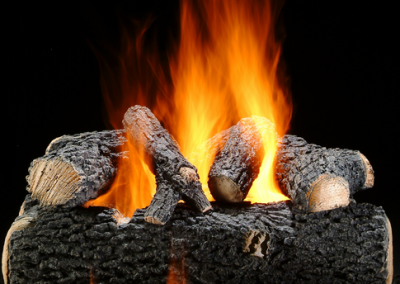 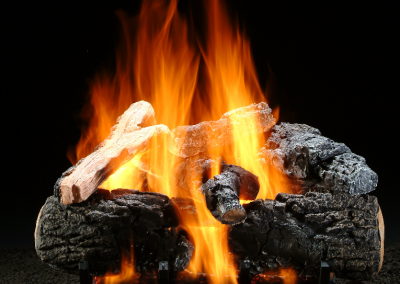 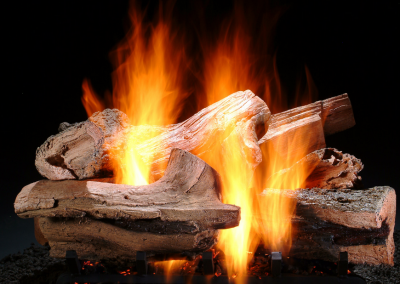 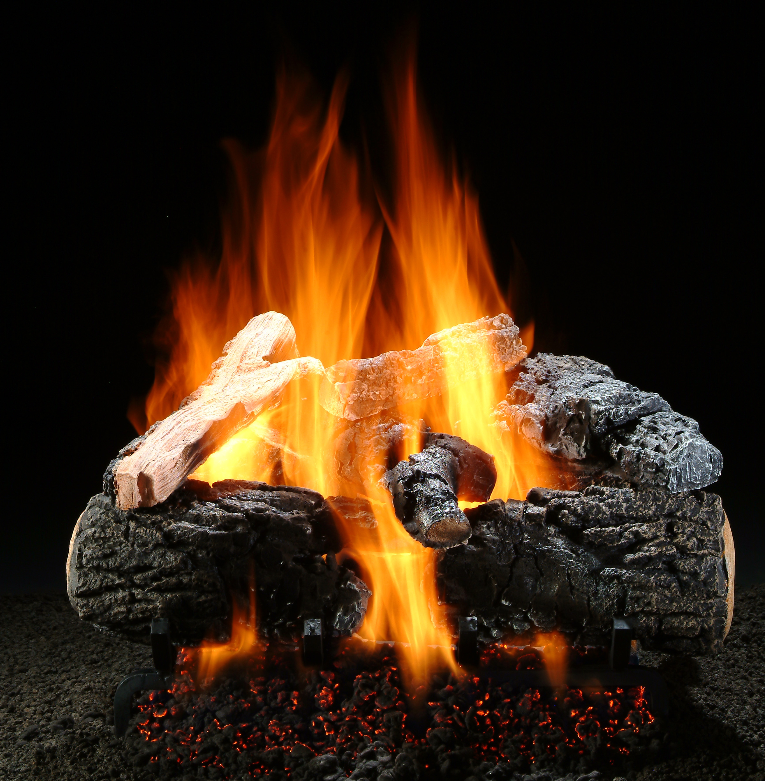 Gas logs can be used in places that don’t vent through the chimney or outside in any way. 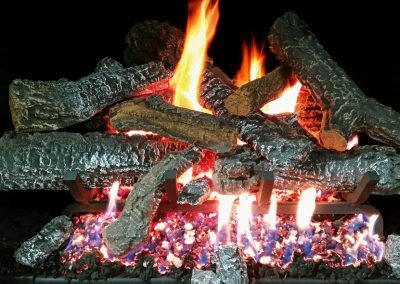 Take a look at all the choices we have available here on the website or better yet, come by the store just south of Georgetown and see them in action. 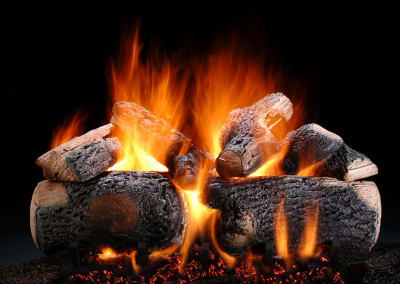 Our experienced staff can help you choose the gas logs that are just right for you, and help you create that special look that you are wanting to achieve whilst staying within your budget. 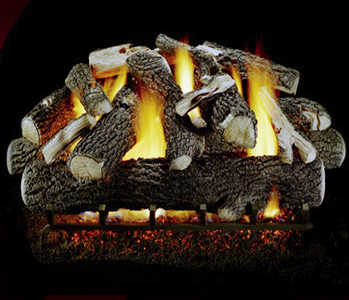 The Hacienda Fiber Heating Log is new and exclusive Georgetown design. 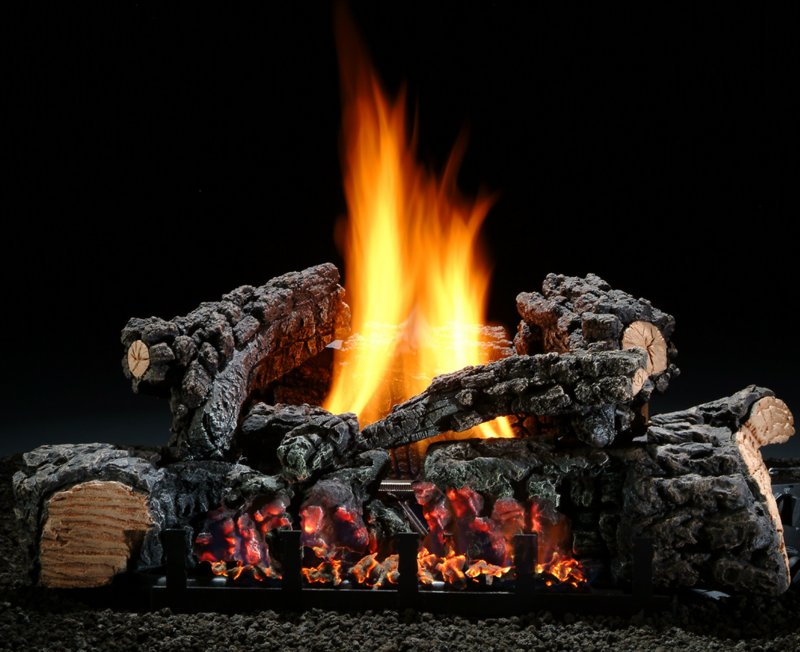 Radient, appealing, and impressive performance combine to create these marvelous logs.